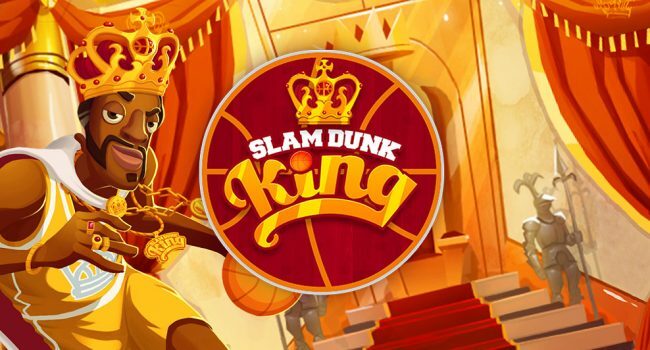 NEW ZEALAND, Wellington, December 12, 2017 – Leading games publisher PikPok® today announced the launch of Slam Dunk King for Android on Google Play, joining existing availability on iPhone, iPad, and iPod touch on the App Store. Slam Dunk King is a basketball arcade game originally released on iOS in 2011. Featuring multiple game modes and unlockable custom content, players must master and chain together dunking tricks, combos, and power-ups to become the Slam Dunk King. Working in partnership with Krome Studios, PikPok recently updated Slam Dunk King on iOS, bringing the six year old fan favourite up to 64-bit compatibility. The studios have partnered once again to bring Slam Dunk King to Google Play, revamping the retro hit with bug fixes, updated compatibility and support, and all new themed court and ball content. The Slam Dunk King app is available for free for Android on Google Play from http://l.pikpok.com/play/bb, and iPhone, iPad, and iPod touch on the App Store from http://l.pikpok.com/itunes/bb. More information, including the game trailer and screenshots can be found at http://pikpok.com/games/slamdunkking/. Krome Studios is a versatile and dynamic independent development house, best known for creating the hit original game franchise, TY the Tasmanian Tiger™ and working on family friendly titles such as Highlights Hidden Pictures™, Backyard Sports Baseball™ and Backyard Sports Basketball™. Krome Studios is committed to making fun and entertaining titles for all gamers of all ages. For more information on Krome Studios, please visit www.kromestudios.com and www.facebook.com/kromestudios.